Frustrated with baby girls — whether they were bald or had wisps — being automatically addressed as “he”, No Slippy Hair Clippy came up with a hair clip that would stay in baby fine hair and give a daughter that unmistakable femme look. The clips start with a custom, high quality metal alligator pinch clip that has a stronger, tighter clasp, for better holding power. Each clip is hand-wrapped with plush velvet to enhance its hold in hair, meaning that the part touching the head isn’t metal, it’s velvety soft and ouch-free. “We certainly don’t agree on everything,” Annie says, “but we don’t take the business home at the end of the day so our personal lives stay personal.” Clearly, it works as No Slippy Hair Clippy has been nominated many years since 2005 for the prestigious “Earnie” award for design excellence, and is also a celebrity fave, photographed in Hollywood and around the world. 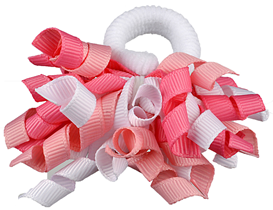 Today, the company makes a large line of no-slip hair accessories, including clips, headbands, and pony-tail holders. 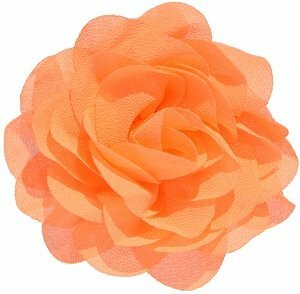 The Cobi headband is among one of the company’s newest offerings with a handmade chiffon bow and sewn pearls that comes on a non-marking organdy headband, available in Hot Pink, Light Pink, White, and Silver. 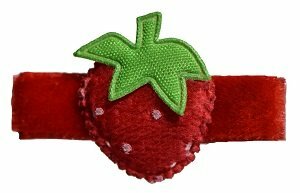 Some of the most popular new clip styles are the Emma fairy, Blake butterflies, Victoria cherry, and Lacy birthday clips. After Kelly Meyer graduated from Vanderbilt University and Brian Douglas from Princeton, both began their careers as Informational Technology Consultants with Accenture in New York City. They were happy but wanted to hit the entrepreneurial trail. 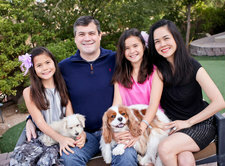 So, Kelly supported her husband as he pursued an MBA from the University of Chicago School of Business, working as the ED of two senior living locations in the Windy City. 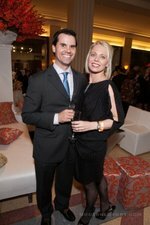 When Brian graduated, he and Kelly, now pregnant with child #1 moved back to Manhattan where Brian worked in investment banking while Kelly did the stay-at-home-mom bit with their newborn daughter. A few years later in 2008, they used their business acumen to target a likely industry and hit on the juvenile product market. Itzy Ritzy was born. 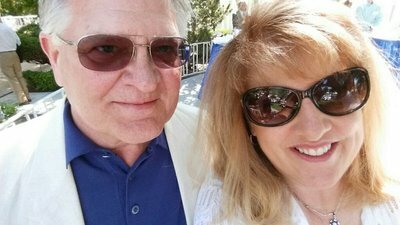 Today the couple splits areas of expertise: Kelly loves bringing products to market and revels in trend analysis, product design, packaging and many other aspects of sales including learning from boutique owners. Brian is the finance guy. Since their special talents are highly complementary, the couple works together smoothly, building a wonderful team and company. On the personal side, the family has grown and they now have two girls and a boy, all three under age ten. The idea behind Itzy Ritzy is that parenting and style are complementary, not antithetical. The company’s collection of baby, toddler and lifestyle accessories provides smart solutions to life’s challenges that look as good as they are efficient. Kelly and Brian are also proud that their company goes out of its way to implement environmentally conscious, no-waste solutions. Through all this, they keep style front and center with chic prints in eye-catching colors. The industry fits Kelly and Brian as they are versed in everything babies and parents need, and combine this knowledge with a sharp eye for fashion. Take Nursing Happens, a striped muslin infinity scarf that looks chic while doubling as a lightweight cover-up when it’s time for baby to be fed. Another new to market winner, Cozy Happens, is a baby carrier canopy designed to shield a tot from weather and prying eyes that slips right over a car seat. 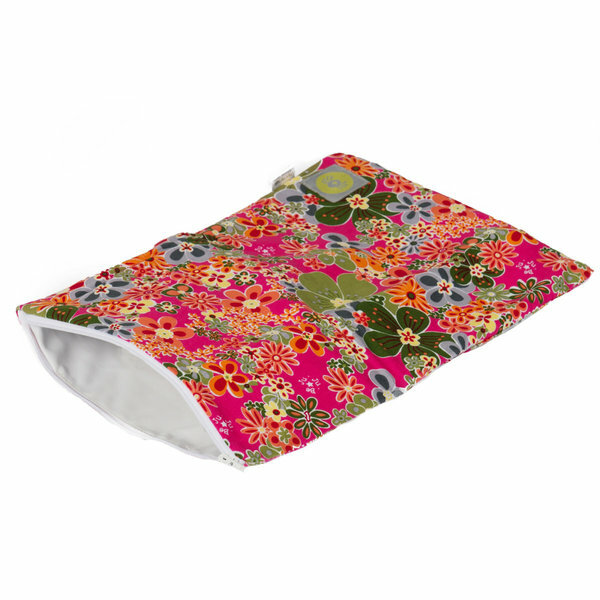 Reversible from lush minky to a soft cotton print, the minky side can also be used for tummy time, another example of a stylish product with multiple uses. As her first daughter approached the walking stage, Angela Edgeworth’s brain began to revolve around footwear for kids as she wanted only the best shoes for her daughter. Criteria included a shoe that would combine comfort and style and one that could be worn both indoors and out. Most of all, Angela wanted a shoe that would be a healthy option for her daughter’s feet. Research revealed that doctors recommended walking barefoot or wearing only soft leather shoes, but choices for infants and toddlers were limited. That was when Angela and her husband Brian, who had met way back in their University days, decided to create a shoe which would be the “next best thing to bare feet”. They made some prototypes and presented them at a gift show. Traffic stopped, orders came in and the business began to grow. 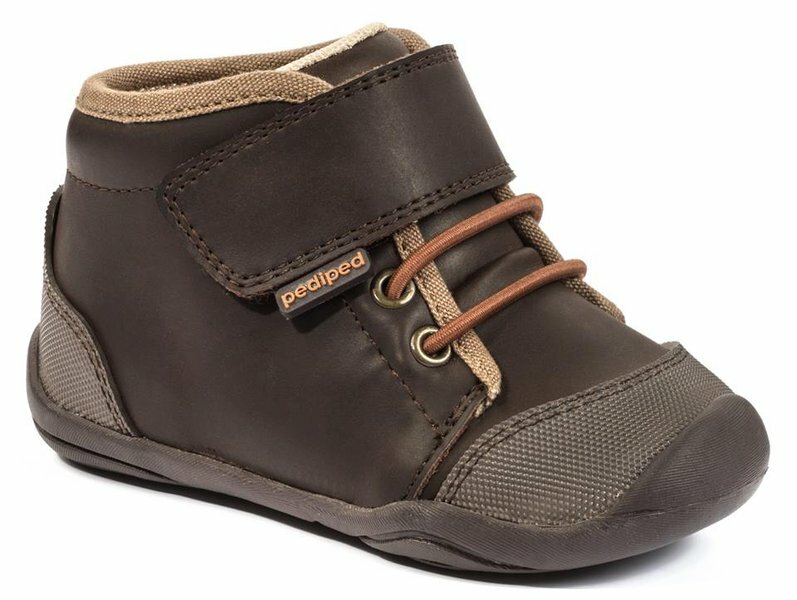 Today, pediped is one of the fastest growing children’s footwear brands in the U.S., offering over than 120 designs. 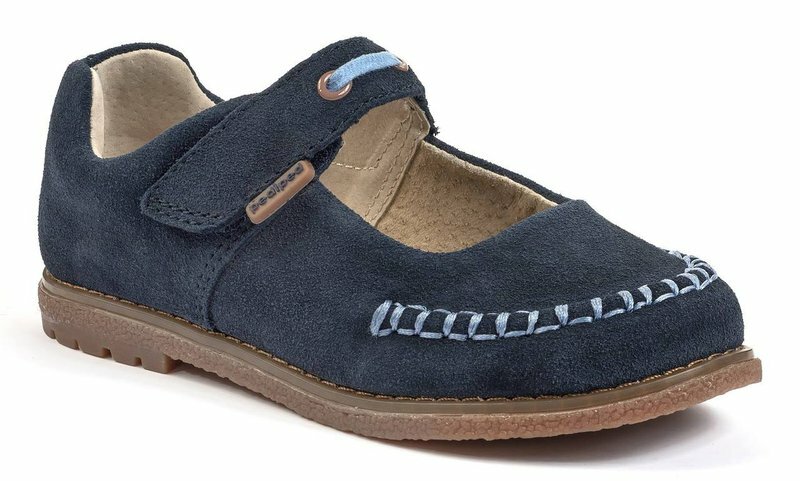 Footwear lines include Originals, soft soled shoes for children ages birth to 2; Grip ‘n’ Go featuring soft rubber soles; and Flex with rubber soles for kids designed for ages one to nine. Along the way to booming international sales, much has changed. There is now a second daughter and both girls model shoes once in a while. In 2010, the pediped foundation was established, donating millions in products and monetary support to children across the globe. Brian and Angela have always adhered to a simple philosophy prizing comfort, quality, and style which is why their company was one of the first to receive the coveted Seal of Acceptance from the American Podiatric Medical Association. Take a style like Grip n Go Jake, a classic revamped in pink and purple. 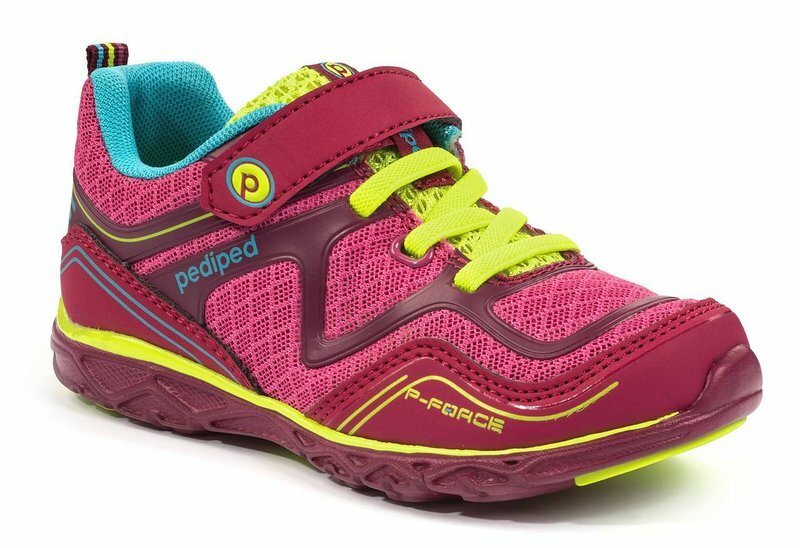 The flexible rubber sole offers a toe cap for extra protection and has a rounded sole to add traction and stability to steps in the early years. A new boy on the block can hit the deck in Original’s Grayson, available in Navy, Orange or Red with a pediped signature soft sole that’s ideal for a little guy’s first steps.